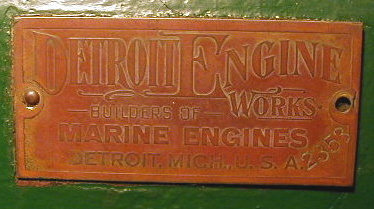 for Detroit Engine Works and retagged with DEW tags. Owner: Colin Bryan from United Kingdom. 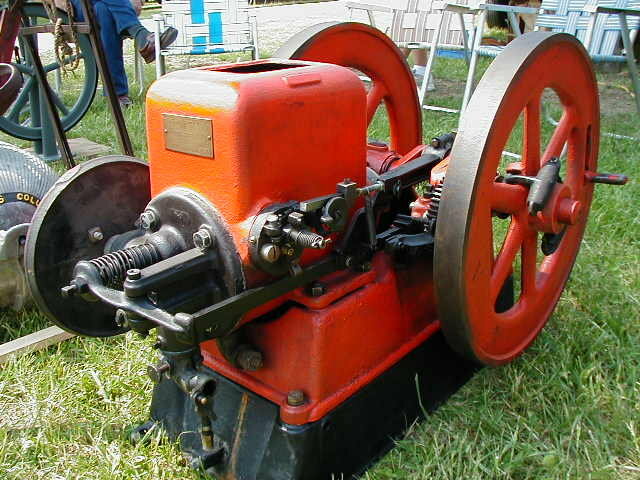 This 5hp JUMBO was manufactured by the Nelson Brothers Co. Notice the name & address at the bottom of the name tag reads, Jumbo Detroit Engine Co. 93-94 Hatton Garden London England. 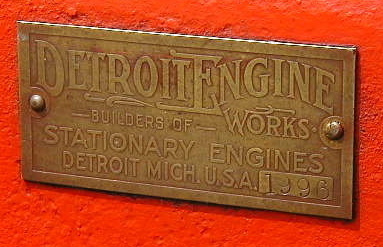 Not sure why Detroit Engine Co. was embossed on this tag probably should have been Detroit Engine Works. 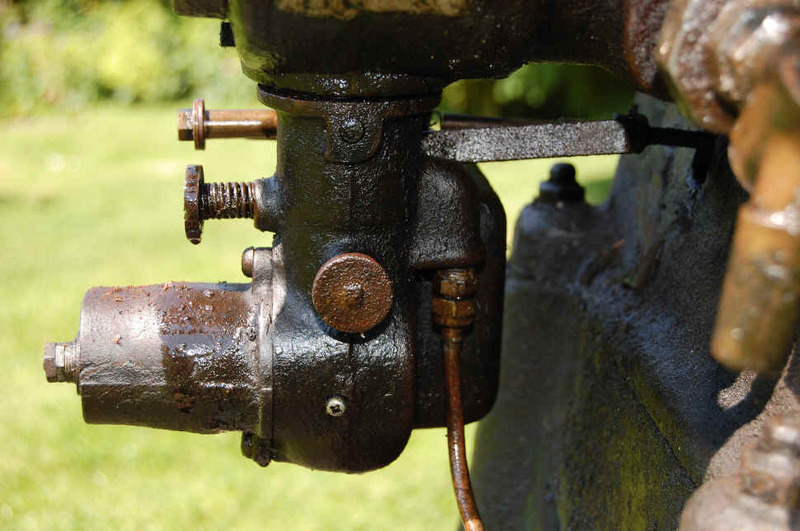 This address is believed to have been a Detroit Engine Works dealership in London England. 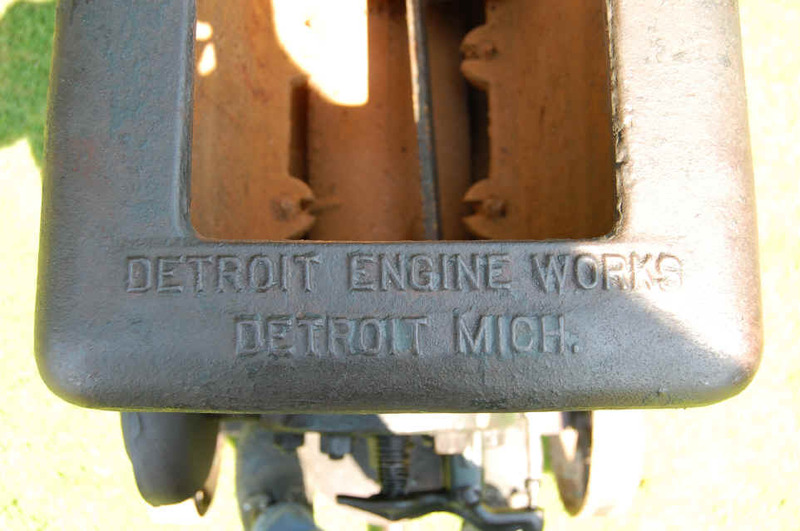 See tag below that is from a 2 cycle vertical Detroit Engine Works engine. 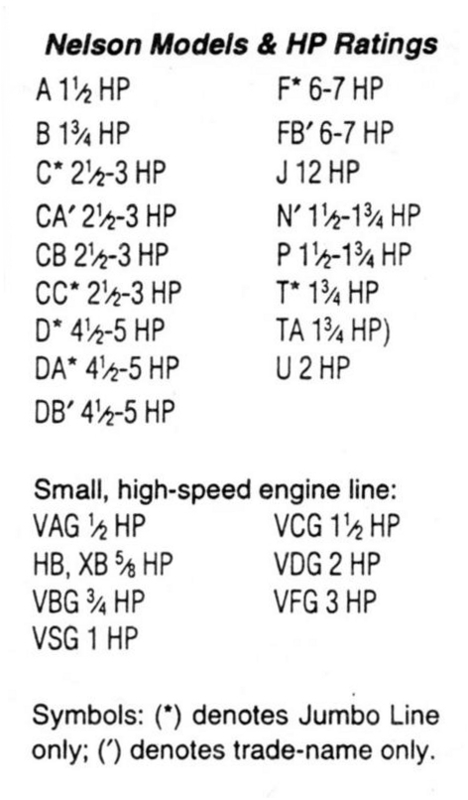 Engine appears to be a 4.5hp like in the literature. 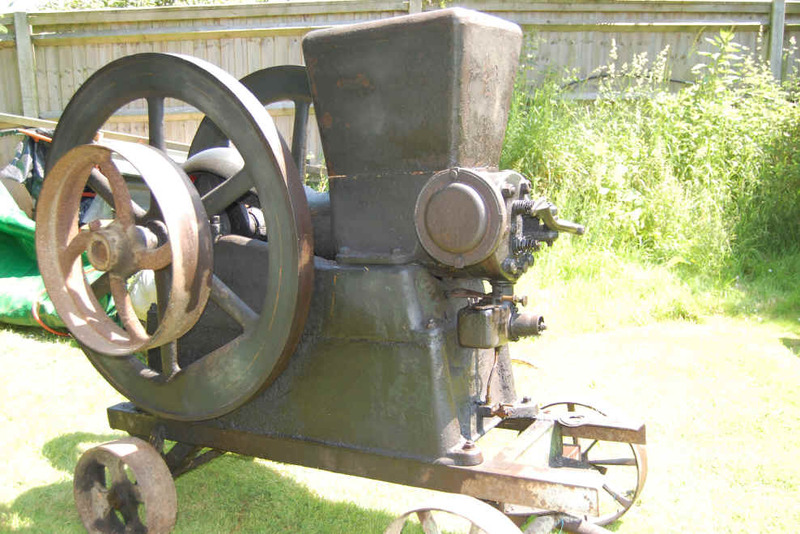 David Appleton from Hampshire England sent me these photos of this Nelson Brothers 6hp with Detroit Engine Works embossed on the water hopper. 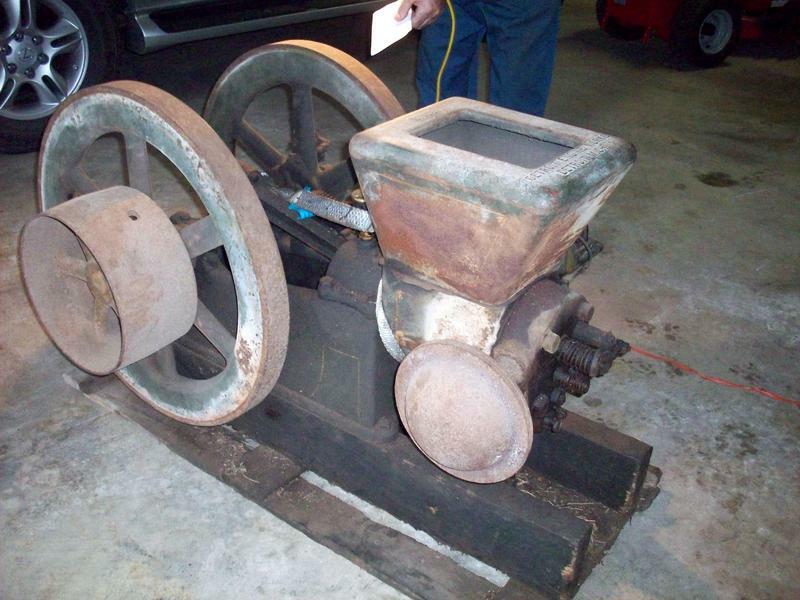 David has been given the challenge of getting the engine to run again. 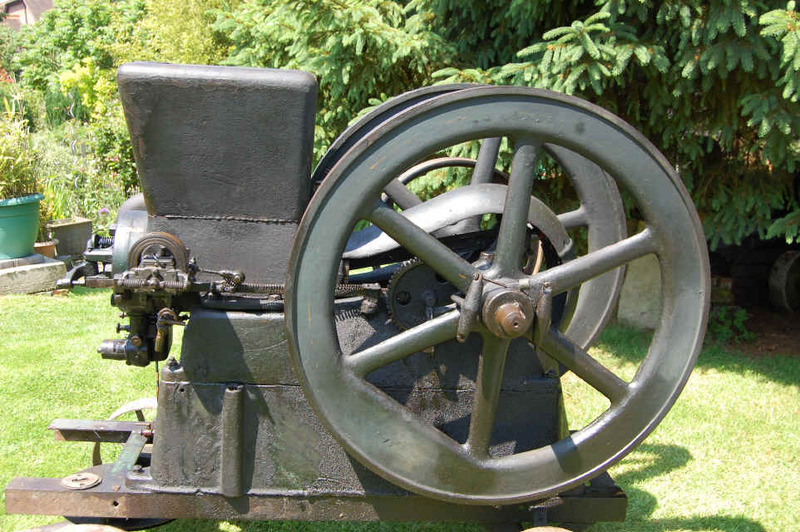 It is believed that Nelson Brothers manufactured these engines for DEW and this could be true. 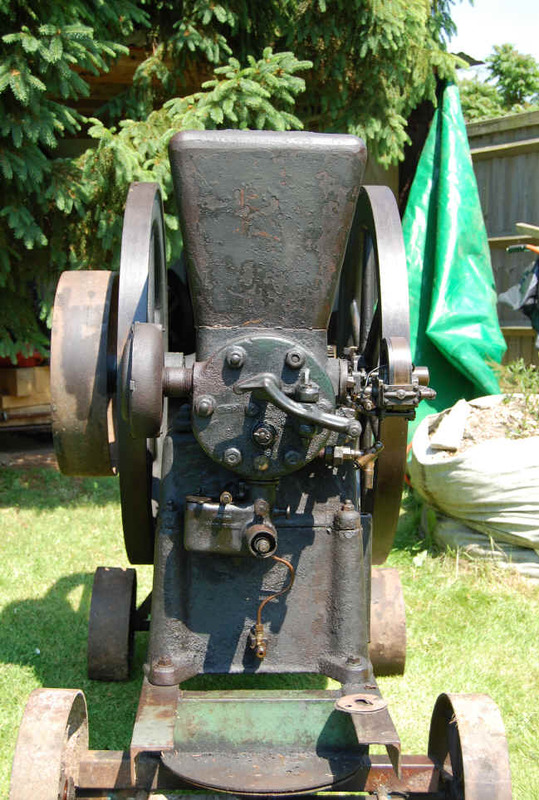 However DEW had its own foundry and was very capable of casting and manufacturing these engines. 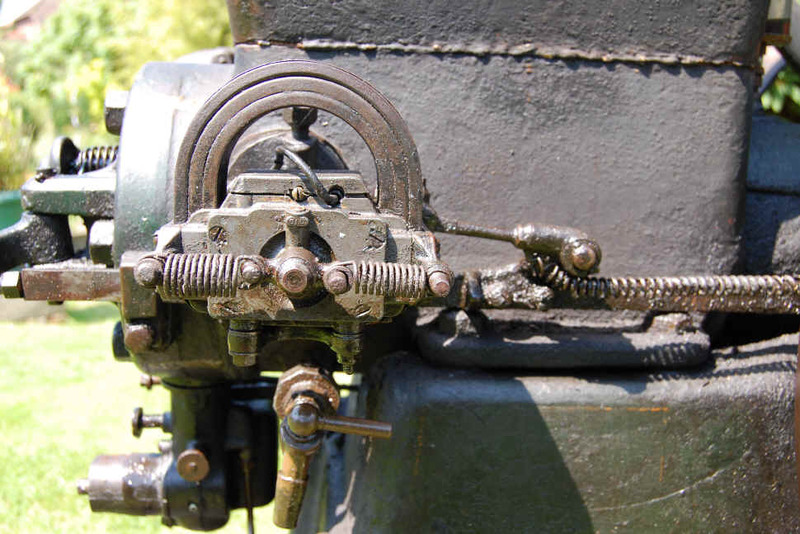 It's also very possible that DEW may have purchased the wrights to the patterns and blue prints so they could manufacture the engines themselves. 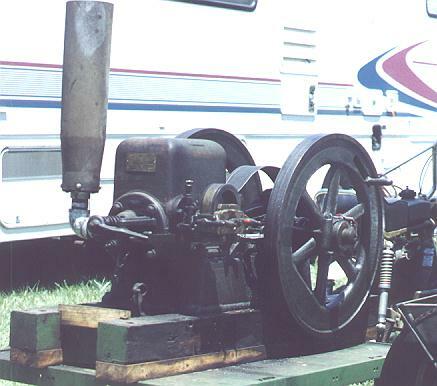 The December 2005 issue of Gas Engine Magazine featured this 8hp engine shown above (dark blue) that was manufactured by Nelson Brothers for Monarch. 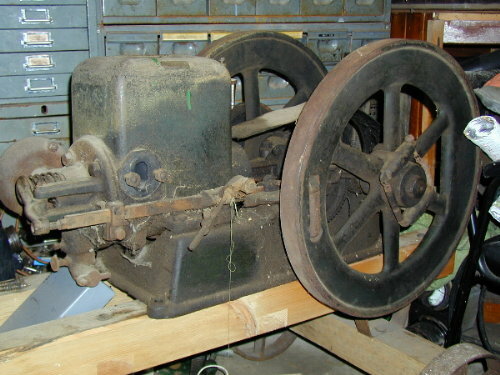 The 8hp Monarch is identical to the 8hp Detroit's on these letter heads and advertisement and also the same as the 8 hp Detroit published in Gas Engine Magazine in September of 1995 page 22. 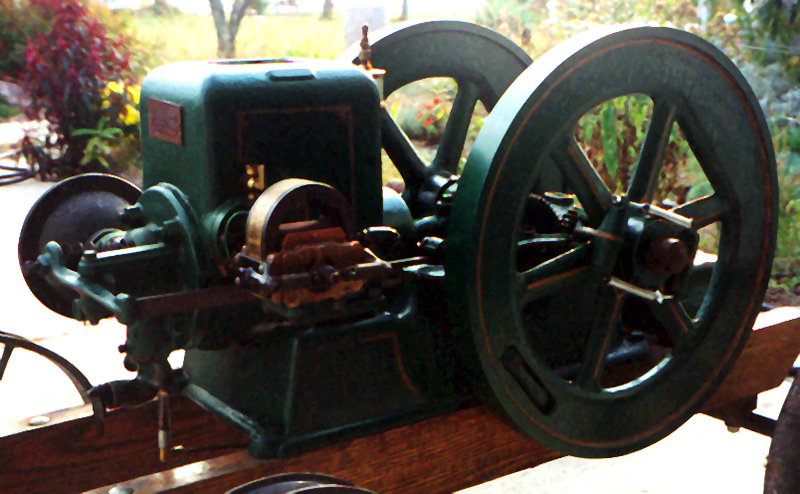 There must have been very few of these style engines produced . I know of only three in existence. 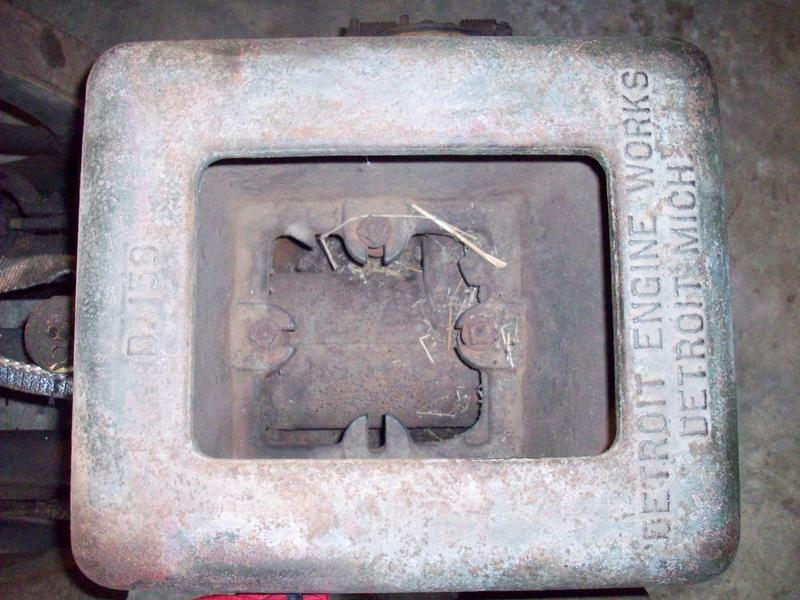 Some of these engines have Detroit Engine Works embossed and cast on the top of the water hopper. 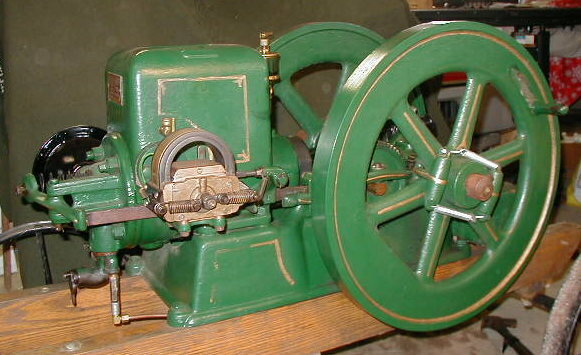 If anyone out there has one of these style engines or any information about them please E-mail me.